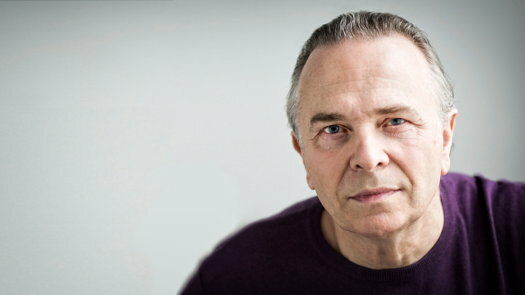 Mark Elder and the Hallé Orchestra got their latest Nottingham concert off to a punchy, exuberant start with a flamboyant account of the overture to Berlioz's wonderfully idiosyncratic opera Benvenuto Cellini - Royal Concert Hall, Nottingham, UK, 25 January 2019. The bright, gleaming orchestral colours and rhythmic pizazz threw into relief the solemnity of the Cardinal's theme, with bass clarinet (James Muirhead) adding its own sinister presence. 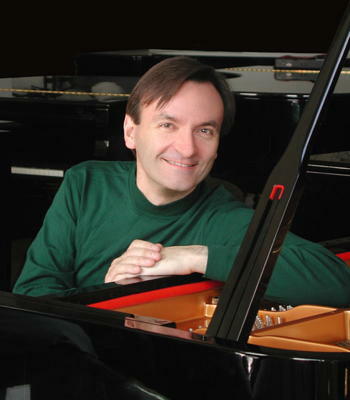 After that, it was time for the Royal Concert Hall's new Steinway to make its debut, with Stephen Hough doing the honours in Saint-Saëns' Piano Concerto No 5. The tiptoe start was beautifully realised, as Hough and the orchestra vied with each other to project the music's urbanity with maximum finesse, and making sure the more energetic later music didn't become over-strenuous. The second movement is a richly-coloured succession of musical imagery from the composer's various travels, the different vignettes succeeding one another like episodes in a folk-tale - Nubian love-song (or so the composer claimed) one minute, quasi-gamelan the next (though the gong in this latter passage seemed unduly reticent from where I was sitting). The contrasting colours and textures were kept vivid, as the music flitted from one to another. But something else came across that I've scarcely been aware of before: a hint of brooding sadness, Saint-Saëns the observer seeming to acknowledge he will always only be on the outside looking in. The finale throws all that off, and Hough and the orchestra captured all its excitement and rhythmic tautness, even managing to hint that the 1920s were only just round the corner - not something you'd normally suspect of Saint-Saëns. Hough's encore was a transcription - his own? - of the Gounod-Bach Ave Maria, bridging - as he pointed out in his brief introduction - the French and German halves of the programme. Part Two was an uninterrupted Wagner-fest, beginning with the Preludes to Acts 1 and 3 of Lohengrin. The Act 1 Prelude was spacious and unhurried in its unfolding, with those high, floating violin lines at the opening and close positively shimmering, while the one to Act 3 had a real sense of celebration. The playing managed to be alternately light on its feet and solidly earthy, until the arrival of Sachs and his fellow master-singers neatly looped back into the Act 1 Prelude. It might seem perverse to end with the beginning, but much of its material comes from the opera's conclusion anyway. There was celebration here, too, with the mastersingers' four-square pomp offset by both the more free-flowing music for the lovers, and the staccato writing for the apprentices, given a really cheeky sense of fun by the Hallé woodwind.